This lawsuit is about government and defense contractor experiments run amok. It’s about the abuse of new and classified technologies by criminal elements within these organizations. Specifically, it’s about the intentional use of electromagnetic radiation on innocent American civilians, for malicious purposes. In fact, the experiments are no longer actually experiments, nor are they intended to be experiments. In the past few decades, they have transformed into ongoing crimes. These crimes are shrouded behind classification and compartmentalization procedures, built into the deep-state for noble purposes, that are now being exploited as cover for what’s become a massively illegal subjugation program. Our bodies are composed of small building blocks called atoms, and our atoms are orbited by one or more electrically sensitive particles called electrons. These electrons are very vulnerable to electrical, and electromagnetic, disturbances. We all know that exposure to electromagnetic radiation in the ultraviolet spectrum can cause damage to our skin, and we know that exposure to electromagnetic radiation in the x-ray spectrum can cause damage to our internal organs. However, unless you are a radio frequency engineer, you are probably unaware of the various non-thermal effects of electromagnetic radiation that can manipulate and disturb all of our biological systems — including our brains and our brainwaves. This lawsuit will prove that researchers within the military-industrial complex have studied, tested, and developed sophisticated devices to exploit the non-thermal effects of electromagnetic radiation. It will prove that criminal elements within these organizations have weaponized these devices and are illegally using them on Americans citizens. This lawsuit will prove that members of these organizations — whom are supposed to be the guardians of democracy — have egregiously violated the trust of the American people to advance their power and satiate their greed. Sadly, they are treasonously achieving their selfish goals by torturing, abusing, and subjugating countless U.S. citizens with these stealth weapons. Electromagnetic weapons are no more exotic, or far-fetched, than biological, chemical, or nuclear weapons. However, they are more concealable, and these crimes depend on concealability. The concealability leaves the victims with no recourse, even with the medical and law enforcement communities. The concealability also leaves the perpetrators with no accountability. This currently enables the perfect crime. As a result, a modern day form of slavery is being created. It’s a timeless fact that power corrupts. This is why we have laws and a constitution. This is why we have checks and balances, and a bill of rights. It is all being undermined by these emerging crimes involving electromagnetic weapons. The number of victims is increasing exponentially every year. As we stand back in ignorance or fear, our neighbors and relatives are destroyed or enslaved, and we ourselves become weaker — and democracy crumbles. Any one of us could be next if we don’t shine a light on this criminal cabal. The period of unaccountability ends with this lawsuit. Note: We are still aiming to have something going by mid-2017, and we could definitely use some help compiling the research and data. The work will be tedious, but it’s essential, and it will get these crimes stopped in the long run. So spread the word, and if it’s something you’re interested in, please contact me and put “volunteer” in the subject line. I won’t be able to oversee the work, so if you’re a self-starter, please step-up. 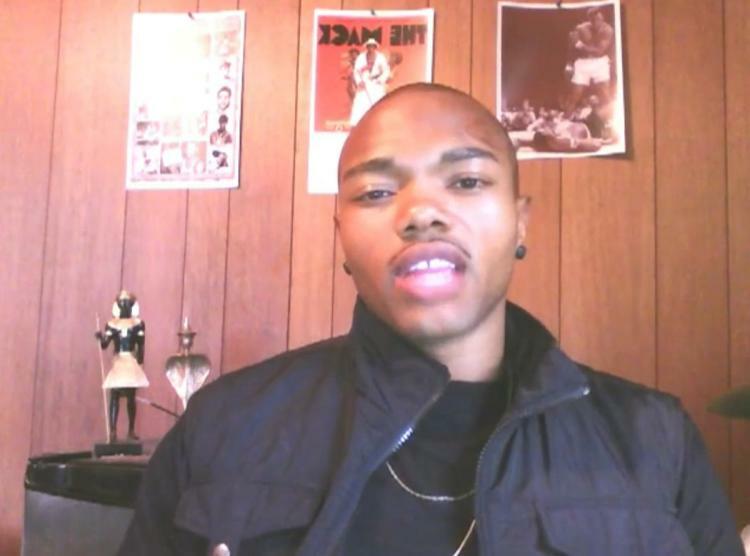 GAVIN LONG, the Baton Rouge shooter. OMG, IT’S HAPPENED AGAIN!!! Turns out the news was correct! Gavin Long or Cosmo Ausar Setepenra as he called himself in his email to the group, was in touch with FFCHS in April of last year! The picture above was uploaded to his gmail account. The moment I saw his picture, I instantly remembered corresponding with him. At that time he was in West Africa and I was very glad to have someone from that region of the world participating in our organization. He was requesting to be added to our Buddy List to which I replied, ‘sure.’ Then a month later for unexplained reasons, he wanted to deactivate his account. This was originally part of a journal entry for November 2015: Radionics and Counter-measures. As FFCHS (Freedom From Covert Harassment is Taking a different direction, I have been wondering what would come of this new direction. First of all, for sometime, FFCHS for has been sending letters to the government to convince them that these crimes are happening and they need to stop. And each time, the government just denies it is happening. And recently, FFCHS has jumped on the bandwagon to support Amy Anderson in her fight to get legislation past in her jurisdiction. It soon became a national campaign to get TI’s to contact there council members to get some recourse in this manner. Then we had the billboards that Ken Rhodes came up with as a focal point to getting some resolution in this manner. Note: I had mention the council member idea back in 2008. That was 8 years ago! And in 2010 the idea developed into an Affidavit program that would be sent to key politicians in the state and jurisdiction that TI’s reside at. Unfortunately, that was placated into a PETITION that was made to resemble an AFFIDAVIT, which was sent to the Justice Department. Of course, it blew up in Derrick’s Face and the people who followed his misguided way. But this was by designed and that why every time a TI such as Ken, Myself and AMY comes up with an idea, somehow this DERRICK dude (which some people are fooled by him being a TI) would come in an MESS IT UP! I sure hope that is not the direction that this new “PROGRESSIVE” FFCHS is taking, because I rather it not exist! Anyway, I had since moved on from the Affidavit idea. Majority of TI’s did not want to sign on to it, because it would take a lot of work on their part and we are reliant to a criminal government (organization) that is at war with the American public. So I have upgraded my focus to RADIONICS and Counter-measures on dealing with the targeting. The reason why I’m so supportive of Radionics, is because I experienced it as a member of Human Protection Software Suite performed by Mellhedek. He has shown me that relief can come from this technique. If TI’s can just put all there complaints aside, they can learn more about this technique. There is a learning curve to this, but it is well worth the time to free ourselves from this criminal program that is call Human Experimentation. For me, it is more than Human Experimentation, it is a program designed to destroy free will and the ability to experience life the way GOD intended it to be. With that said, I can only wish the “NEW” FFCHS the best and if it lives up to what it is telling us, I will lay down the RED carpet. 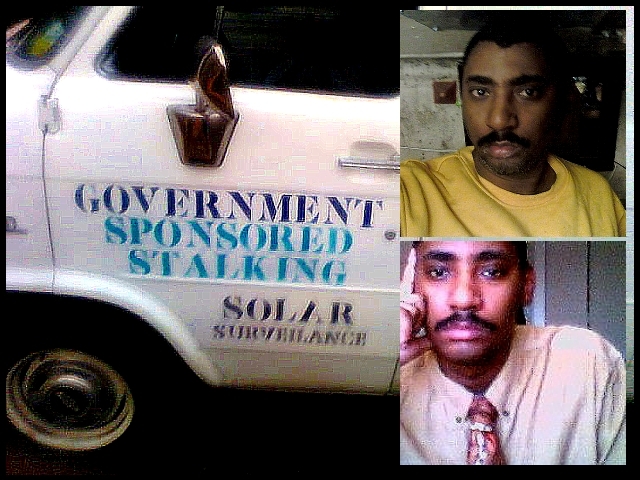 From Gang Stalking Help.org: I have heard that recently Derrick Robinson has been removed as President of the organization Freedom From Covert Harassment and Surveillance (FFCHS). One of the explanations noted that Mr. Robinson declared FFCHS as a sole proprietorship. A sole proprietorship cannot be a nonprofit. A nonprofit is most often in the form of a corporation. In a nonprofit, profits are reinvested into the organization rather than being declared as personal income. After four years I have figured out what “gangstalking” is and I wouldn’t recommened investing too much of your time, effort and money into an organization that has been in existence since 2005, hasn’t caught the attention of the general public and who’s president has had incentive to encourage donations rather than prioritize people’s issues. The donations controphersy at the President level has damaged the effectiveness of the organization historically. 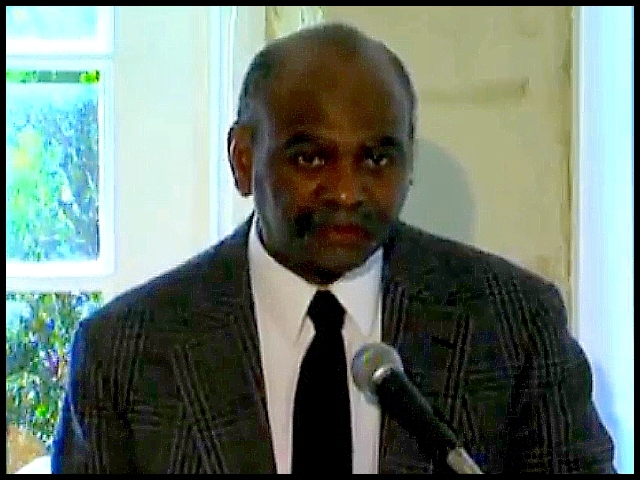 Mainly, the biggest way it has hurt the TI community is legitimate solutions / explanations have been discarded in favor of establishing a continuous stream of long-term donations to supplement Mr. Robinson’s personal income. In these past years I’ve served on the R&D tech team, volunteered as a local resource and loaned Mr. Robinson a laptop. My opinion of the approach at FFCHS is there are hard working and intelligent people at FFCHS working on the wrong things which is problematic. The R&D team disbanded, I was removed from the FFCHS newsletter as a resource in my state (without notice and without incident) and I didn’t receive any response when I emailed Mr. Robinson about returning my laptop. My efforts have been in tandem amd have spurred little change. I can honestly say that 2+2 historically has equaled 3 not 5 in attempts to work the issues with FFCHS, unfortunately. As far as working on an organization level with FFCHS, my website content appeals to a subset of the “TI community”. Even then, the continuity is limited to aspects of the information, generally the overall content big picture is not supported. Little by little FFCHS has changed their general theory about what is happening inline with mine but at the same time efforts to collaborate have consitently failed. It seems like a real mess to me in terms of prioritizing information, theories, human capital and advocacy efforts. The misguided efforts are evident even in the name of the organization. Freedom From Covert Harassment and Surveillance. Gangstalking can be better described as a mix of both covert and overt activities. The activities are often performed under lawful authority (so legally they are not defined as stalking nor harassment). Covert Harassment and Surveillance can be more appropriately termed Intelligence, Surveillance and Reconaissance (ISR). In addition, it is the legal provisions given over the years by Congress to allow the DOD, DHS, law enforcement, and a whole host of organizations and people at the local level to protect/defend people, secrets, infrastructure and technologies during operations that give rise to the activities that occur in the way that they do. Chris J. Brunson: If things could not get any weirder. Derrick Robinson starts a new organization. All I could say is I wish him good luck. But I don’t count on anything getting done whether it is Derrick Robinson, FFCHS or the entire “TI” community as a whole. This is our first issue and it is kind of a test issue to see what works… It’s good to be back with everyone again. I have missed communicating with all of you and have appreciated your support – even across the globe – for the ordeal of the past month or so. I’m very grateful that so many of you have not bought into the smoke and mirrors promoted by the treasurer and the board of my former group. I will address some of these issues during the call this evening, however, I will be more focused on charting our way forward. International Alliance for Experience’s of Electronic Harassment. This may or may not be our official name. I had to call ourselves something for this issue so I selected the above which is a combination of several suggested group name entries. However, if everyone agrees, then we’ll keep it. Due to the success of our call last week, we will continue the same podcast night – Mondays – and format. The call details are below. We have started a tradition which we will continue with having a conference room open during the major holidays. DERRICK ROBINSON FUNNELED FUNDS FROM FFCH INTO IS OWN PERSONAL ACCOUNTS TO PAY FOR HIS OWN PERSONAL EXPENSES FOR TEN YEARS. A SERIOUS CRIME UNDER THE LAW. There is no way a man can run an organization for 10 years like Derrick did and have Board Members that have been on the board for 10 years with him and all of a sudden Derrick is Canned because I am now on the board .. It does not make any sense.. Things do not work that way in life. Anyone with common sense would question that.. After you’ve known a person for 10 years you build a standing relationship and a character with people to judge you on. There is no way I could influenced the entire board of Directors after only 8 months on the board to change their standing position with Derrick Robinson and his stability as the President of this Organization..
Derrick had already open doors for skepticism prior to my arrival.. I was selected to be the co-treasure because that was the position that the board wanted to Fulfill at that time. Anyone that qualified for the position could have applied. This had been discussed prior to me even being on the board. Derrick put an ad in the newsletter for the position when it became open.. Months went by and Derrick said no one applied for the Position . We thought because it was a donated position and people wanted to get paid.. I do not why people did not respond.. However after months passed the board found out there were 4 or 5 people that did applied for the treasurer position but Derrick hid that information form us and told us Nobody applied. He never wanted anyone to be treasurer. He wanted to keep the position himself. Hind sight clearly shows this to be true. . People did came forward and told us they never got a call back or emailed back from Derrick after applying .So again Derrick lied. The board thought it would be hard to fill the position so they ask me would I do it.. I excepted because they needed me. I DID NOT WANT TO REALLY DO IT.. I WORK .. I AM A TI I really did not want to be a treasurer. I did it to help with no pay..
One of the requirements to be treasurer you have to have a Certain amount of income. It has to be a minimum of $2500 a month or more to assure no theft in the future of FFCHS . This is the requirement that I put into effect once I became a board member. I thought it to be important to hold the position of a treasurer.. I make enough money a month. I have my savings.. So I did not care if I got paid. My targeting makes me stay in my car mostly because they rig my homes with poison and I can not sleep in the same bed every night. I get too sick. So I do what I have to do to survive as a target. Can not be stationary place too long. Here is the bottom line. When the board voted me in as Treasurer.. They asked Derrick to send me the paper work. Like the Articles of Corporation and the Tax ID and the necessary paper work to open a new bank account or transfer the account over to me he had established for 10 years. Derrick got angry and more angry and out right refused to give over the account or the funds or even change the address on the website to the new treasurer address or the newsletter for the donations.. This went on a very long time.. It started when I was co-treasurer in March.2015 . First I was to be a signer on the bank with him. By Aug he still would not cooperate with these instructions from the board.. The board became suspicious and then voted me in as full Treasurer Aug 9th, 2015 and Derrick almost Died. He at that time ask the board could we start from this day forward on the accounting.. he did not want to give over the records. He said lets start new. he was very very nervous. I became Full Treasurer Aug 9, 2015 .. When I went to the bank to open the new account because we realize I would never get the records from him. The new accounts manager looked into the account to transfer the account over and advised me that Derrick Robinson does not have an account as a non profit.. he has his own business as FFCHS and it do not belong to our Organization and there has never been any account for the 10 years this account has been open there has never ever never been a non profit.. so all the donations that you have received are not deductible and all the people that thought they could write off the donations will not be able to and that is a lot of years. They immediately opened up an investigation in their legal department. But I found out that shortly afterward they were just in shock. they could not believe what they just learned.. We could still loose our 501c behind Derrick Robinson… We have no proof he closed the account yet.. he refuse to give us this information . He has not as of today gave us nothing absolutely nothing. No records nothing and refuses to. We will have to take him to the authorities … We have not as of yet… He also needs to give us our credit card and all the records to our donors etc etc a 23,000 credit card he will not release. We will be able to help Tis in the future.. We have people that are suffering.. TIs have called Derrick for housing or a loan and Derrick has never had the money… It will not be like that in the future. of FFCHS. I find this Embarrassing and unacceptable to our community. This is not a good thing Derick has done. This Sunday, the guest speaker is a retired Hollywood actress, Melinda Fee. She is targeted with organized stalking, electronic harassment and some chemicals. It is well-known that many in Hollywood are also targeted. Hope to see you there.. We will be having our meetings every 3rd Sunday of each Month.. This way you can plan ahead.. If any one would like to give a testimony at one of our meetings please email Delores Hall at healingspirt@gmail.com and give a brief bio of you and your targeting. We were finally able to hold the first Los Angeles area Support Group meeting on Sunday, July 21, 2013 after a hiatus of nearly a year while the Coordinator, Delores Hall had to take time to recover from extremely severe targeting. We had 4 Speakers.. Delores, Alfonso, Derrick and Michael Delores is one of a few survivors who is truly on the road to recovery. See her Testimony below…….. . Our next meeting will be Sunday August 18th 3pm – 7pm Round Table 19750 Beach Blvd Huntington Beach CA 92648 Main Speaker will be Melinda Fee a Hollywood Actress and a Targeted Individual.. Be there Enjoy the Video….. Part 1 of 4 Alfonso Miranda- https://www.youtube.com/watch?v=xXDjKGIJwjU Part 2 of 4 Michael Terry – Author “The Set Up” https://www.youtube.com/watch?v=sVs9aNAyeVU Part 3 of 4 Delores Hall Testimony – HPSS Luminous User https://www.yutube.com/watch?v=E5-TZ-W-IKs Part 4 of 4 Delores Hall Testimony HPSS Luminous User https://www.youtube.com/watch?v=Wx4aEdCJ3Lo HPSS Luminous Install Request Procedure https://www.facebook.com/notes/mell-mellhedek/hpss-luminous-install-request-procedure/302965226441128 . We were finally able to hold the first Los Angeles area Support Group meeting on Sunday, July 21, 2013 after a hiatus of nearly a year while the Coordinator, Delores Hall had to take time to recover from extremely severe targeting. DeDe is one of a few survivors who is truly on the road to recovery. More about that later. DeDe hired a videographer who taped the meeting for showing on YouTube. There were several speakers, including Derrick Robinson, director of FFCHS. The first speaker, Alfonso is a member of an organization that is associated with the United Nations. He may be of important help to the targeted individual community at some point. Other participants shared their targeting experiences with the group. DeDe Hall shared with everyone her recent experience with the Human Protection Software Suites (HPSS), invented by Mellhedek, which was instrumental in stopping much of her attacks, enabling her to recover from a relentless onslaught. What Mellhedek is doing for her and others is nothing short of miraculous. We also decided to start a “Buddy List” for the Los Angeles area. If you’d like your name added to this list, send it to DeDe. DeDe hopes now to have meetings on a more regular basis. More announcements will be coming soon about the next meeting.